Twitter is a very different animal than Facebook and most other social media platforms. Whether you just launched a new account or have one that’s been languishing as you focus your attention elsewhere, the easiest strategy to jump start your Twitter marketing it is to follow more of the right kinds of feeds. These also happen to be the groups of people you want to follow. Influencers are people, businesses and organizations who are very active on Twitter in general. They tweet and retweet interesting and relevant content regularly or frequently and are actually engaging in discussions, and because of this they have built a huge base of followers. The most important influencers for you are locally or regionally focused, such as TV and newspaper reporters. You should also follow influencers that have a reach far beyond your area, as it will connect you to what’s happening outside of your sphere and potentially provide an opportunity to reach a wider audience. Your customers are on Twitter; you just need to find them. Some will seek you out, but it’s better to find them first. Set up and save searches for your business name, including any colloquial names your customers might use, hashtags and quotation marks when appropriate. Retweet positive content, respond to questions and comments, and follow these people. When your customers (current and future) see that your business account has a real live human being behind it, they’ll follow. For a restaurant and sports bar like Gamehaus Gastropub, we follow official and fan accounts of our Texas teams (focused on the most popular franchises here, the San Antonio Spurs and Dallas Cowboys) as well as sports reporters & website feeds that tweet news, memes and other jokes. This provides a lot of great content for us to share and play off of, and it’s relevant to our customers. We also follow feeds for beer and alcohol brands that are popular here, such as Bud Light and Fireball Whisky. Of course, we also follow the many accounts that focus on things to do, restaurant and bar reviews and other hyperlocal websites. All of these represent different aspects of the industry we’re in. This applies equally to other industries, such as a plumbing or bookkeeping company. If you’re not sure who the key people in your industry are, do some searches for “top twitter feeds for ____” in Google or search out your industry directly on Twitter to find a place to start. Then look at who these people are following or having a discussion with, and pick some accounts from those lists. Again, you don’t want to follow everybody: you’re looking for active, relevant accounts that seem to have real people behind them. This process of following more of the right people should take place over time, not all at once. It is an ongoing process. This will give those feeds a chance to check you out and decide whether they want to follow you back. It also gives you a chance to explore your new timeline and find interesting things to retweet and/or discuss. Ultimately, you are looking to curate a timeline for yourself that will connect you with new and current customers while keeping you up to date on things that might interest them. There are, of course, many kinds of Twitter feeds you should not follow. You don’t need a timeline full of tweets that don’t matter to you, your business or your customers. If you follow anyone and everyone, you’ll bury the most relevant content in a haystack of pointless tweets. First, as you gain new followers on a fledgling account, you have to resist the urge to follow everyone back. Outside of the groups discussed above, you will be followed by many accounts trying to sell you something or inflate their own number of followers. You’ll probably be able to spot the many spam accounts that will follow you increasingly over time. Avoid feeds that are not active on Twitter, including those made up of only automatic reposts from Facebook. There’s no value in following accounts that provide nothing of value–something you need to remember for your own account. If you feel obligated to follow someone because they’re a friend, colleague or you believe it’s politically savvy to do so, do it. You can always mute them if they’re not providing tweets that are relevant to you, your business and customers. 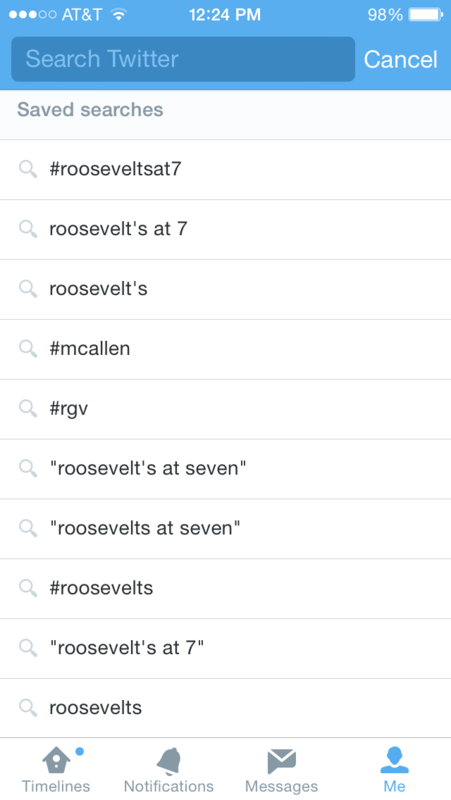 For some examples of Twitter users doing it right from our region (the Rio Grande Valley of south Texas), check out our earlier post 5 Valley Twitter Feeds We Love.